IMO, nobody should be anchoring up in the pass in the first place. The Bean Point fishery is ruined. No choice at this point. It's not possible to drift the pass anymore. There are plenty of other places to fish for tarpon where you don't have to anchor, chum, and then work your way through buoys, anchor lines, and the clueless once you hook one. But you also get the idiots.. (mostly 18 year olds with their dads boat) that cut you off in the drift or swarm you when you jump a fish. This boat on Monday night, I think it was Bobsled, was being ridiculous this old guy yelled at him and hammered the engine next to his boat. But other people are good, a few people saw us on and started a drift 200-400 yards in back of us and off to the right, No Problem. People anchor and chum for grouper there. The chasing of pods in passes with trolling motors has been going on for a few years now. Pick a pass and there's at least a few guides and and some other bozos that cut off your drift troll right in and push the fish down so they chum. 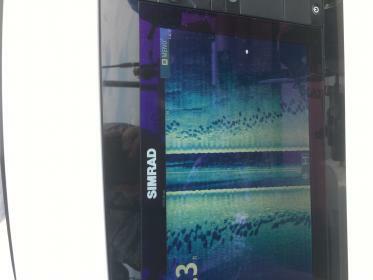 Today we were able to fish a pass with only 2-3 capts. all anchored up. just plain too lazy. As far as I could tell I was the only one who hooked/jumped (broken hook, uggh) a fish on the morning outgoing. she ate a crab. was able to present it properly, not like it was on a leash. these fish have been around for 100 million years. The are the pinnacle of their evolutionary line. They are probably adapting to the way they are fished. like rattlers use their rattles less today than 100 yrs ago. 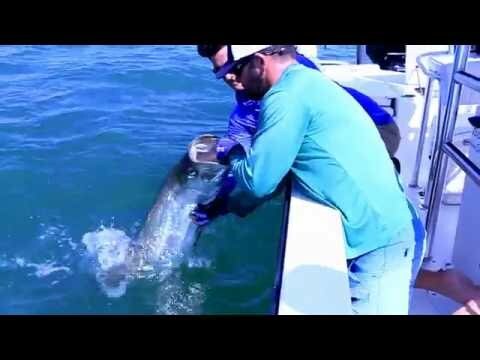 Tarpon are gonna start feeding only at night to avoid getting hooked by those things in boats. has the bite been slow for y'all or is it just where I am fishing? its been so slow. I have hooked like 5 and jumped one. And I have been out with beautiful crabs 5 days... This time last year I had jumped 20 and landed 8.
too funny, Rob those are my stats so far. 5 x's out. one fish each time. none landed, all broke off at leader and today my 8/0 Gam. lost its point in one. I know better than to use those, so after all I did right today, I had made one big mistake on hook choice. Yeah last year the fish were eating. You could see them feeding. I have seen only a few pods actually feeding. These fronts with high pressure and big temp swing must be playing a role. 2 weeks ago the fish were everywhere, but tough to get bit. They had been eating grunts and ladys for us. today it was a crab. Not one bite on artificials. But hey, I caught 3 cobia tarpon fishing this year so far! hey hey! at least theres that!! Bite has not been slow at all. We've hooked over 50 fish this year already. Has anyone fished since the storm has passed? Update from yesterday. Spotty fish at Skyway, couple dozen fish at Egmont north, south saw 1 fish, Bean is wasteland no fish at all, LB misc. small schools off the beach, middle bay two schools of 200 fish or so but not really interested in eating. Crabs flush way late. Tide was ripping on the incomer. Anything else? Went out yesterday and fished St. Pete beach. Pretty sparse early, but did see a fair amount of small schools that didn't show up until late morning. As fusion said, they were NOT eating. Jumped one small fish about 60 lbs. I'll be straight up - flew one fish. That's it. Slowest day of the season but that was to be expected. We did way more recon then actual fishing. Never underestimate the value of recon! We had a big school come by on Saturday 40 miles offshore while Snapper fishing. That is really cool, were they headed in or out Tony? I have a thread for this video but I thought it would be appropriate to add this here. This is what it looks like when you're doing it right. Hmmm. Which way were they heading?